Quality options to make you feel comfortable. See if your new home is available today! Pennwood Place Apartments is located in Las Vegas, NV and has studio and one bedroom units at affordable rental rates. Apartments include air conditioning and are cable ready. Our apartment community includes an on-site laundry facility for your convenience, beautiful courtyard area, swimming pool for relaxing, and friendly on-site management and maintenance. 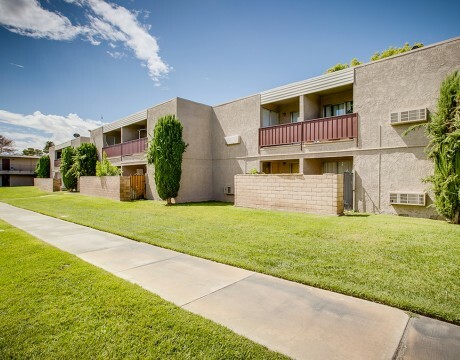 Pennwood Place Apartments’ location is only minutes from easy access to the I-15 Freeway, dining, shopping, and the world famous Las Vegas Strip. Come and tour our wonderful property and experience everything Pennwood Place is ... the wait for your new home is over!